5.0 颗星，最多 5 颗星What Went Wrong? 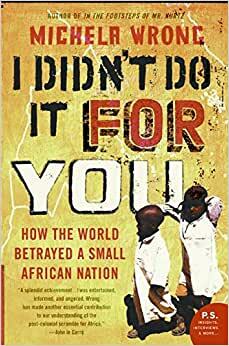 As an Eritrean raised in post independence Eritrea, reading this book really gave me an interesting and critical perspective. It gave a view of how Eritrea is seen from outside. I enjoyed reading it, and I learned a lot I didn't know about my country. There are seemingly unimportant facts and little details that answer questions I've asked myself all my life. Thanks to Wrong I now have a deeper view into my lovely country's past. I would recommend this book as a reading text in schools in Eritrea, and also to anyone who wants to learn about Eritrea in a fun, enjoyable way. Thank you Michela Wrong for contributing such a wonderful book about my people and my country.